Are you getting married in 2009? If you are, here's a couple of helpful pieces of information for you. 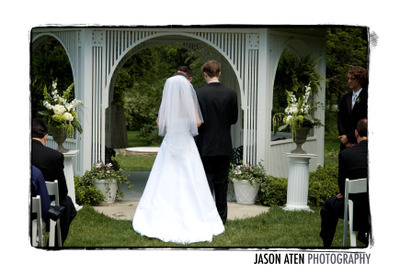 Because we value the relationship that we build with each client, we are only accepting 20 weddings for 2009. This means, we have 20 spots available to fill, and once we sign the contracts, we won't be taking new clients for 2009 weddings. What this really means, is if you're interested in booking us, we'd love to hear from you very soon. Once we have a chance to talk, we'll set up an appointment if you're local. Don't worry if you aren't, we'd still love to talk with you and we can work out the details. After we have a chance to talk through exactly what you're looking for, we'll put together a contract for you. A signed contract and a retainer will hold your date. At that point, congrats - you are booked!